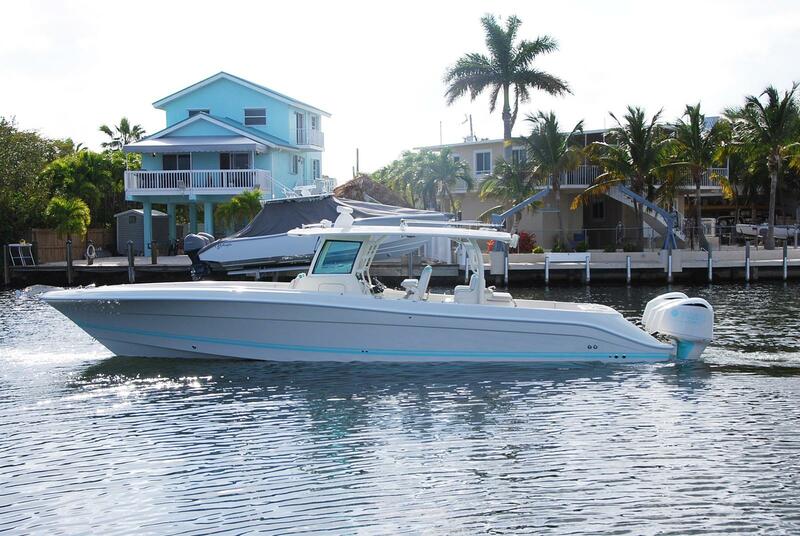 The only quad powered yacht in its class, this award-winning yacht has over 1,700 hp. 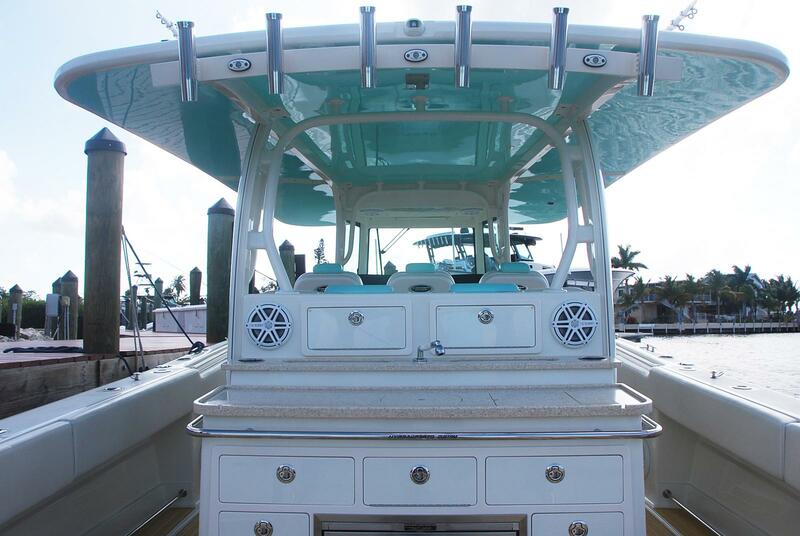 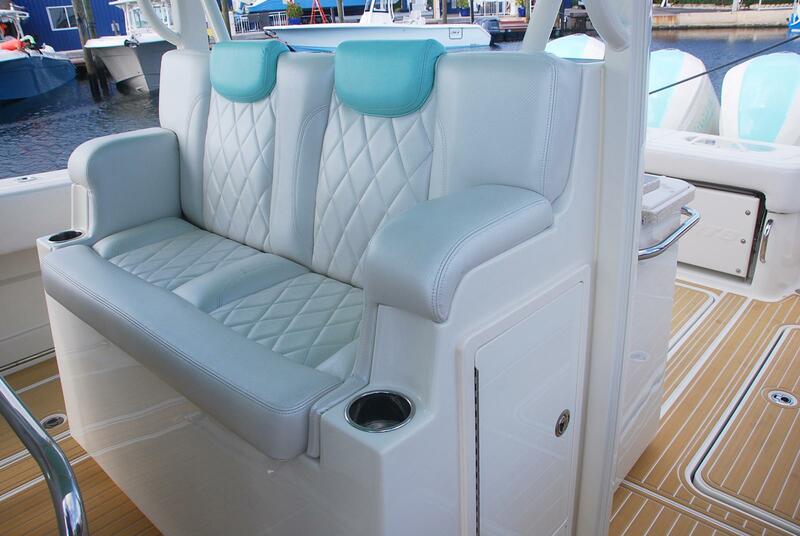 With first of its kind rear live-well with built in seat, customizable summer kitchen/bait prep station and class leading second row helm seats, the Siesta is designed to meet the discriminating tastes of customers looking for this level of Center Console Yacht. 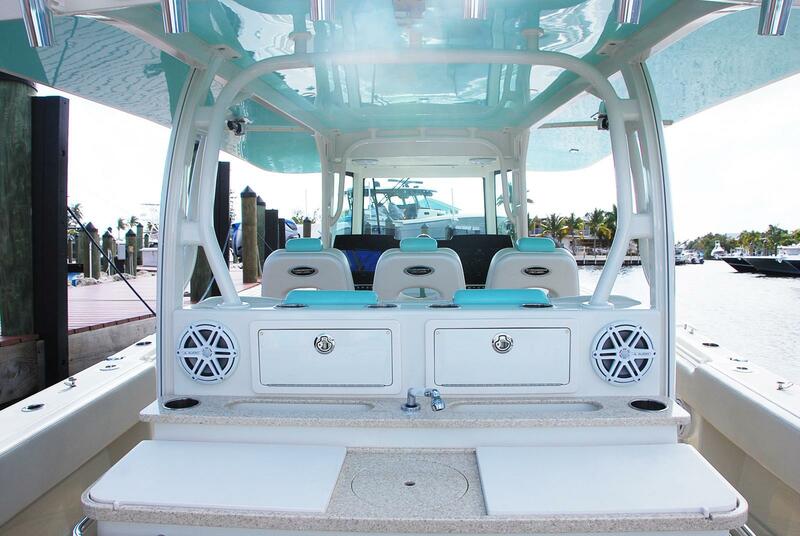 Freshly redesigned helm station with standard triple navigation screens, customizable high-density foam helm seats, and automotive inspired aesthetics provide total control of the vessel with ease. 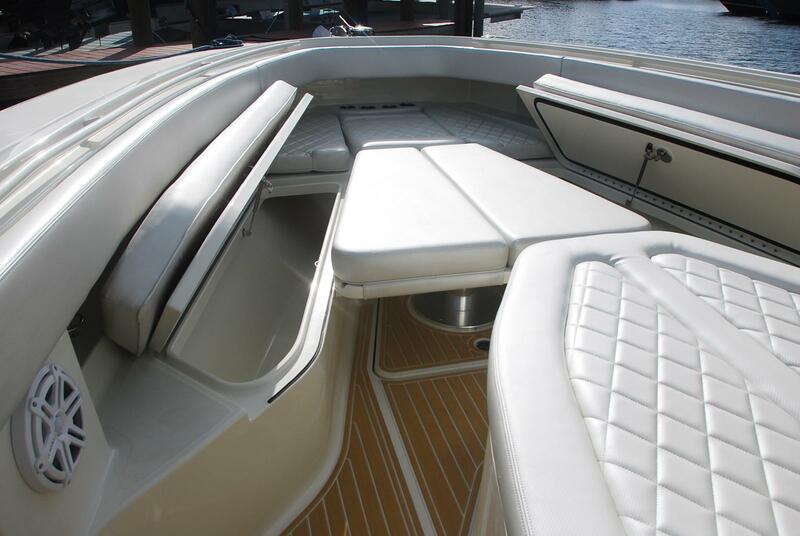 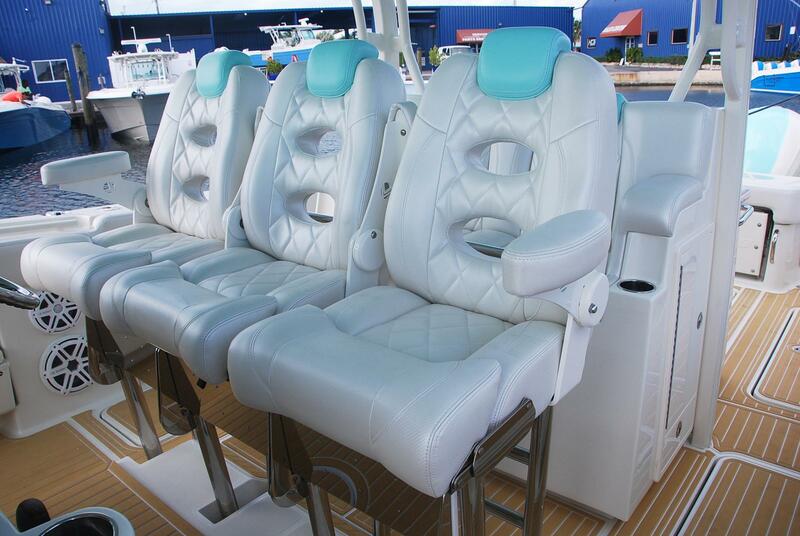 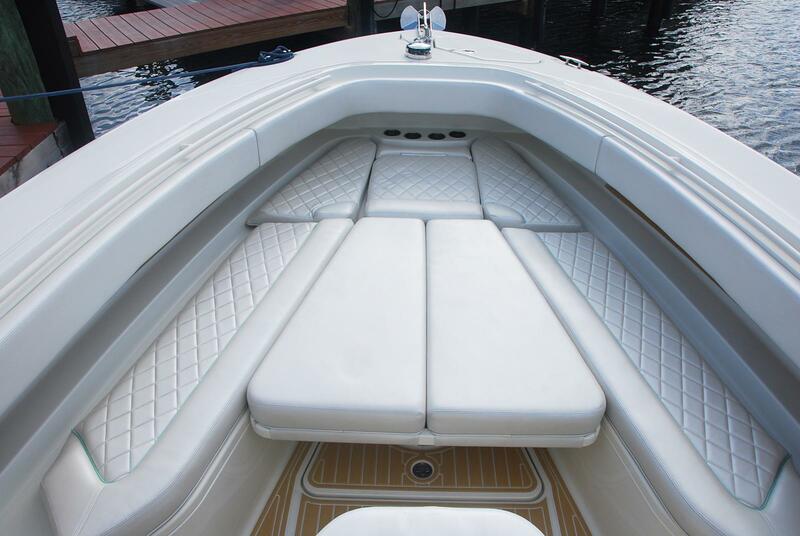 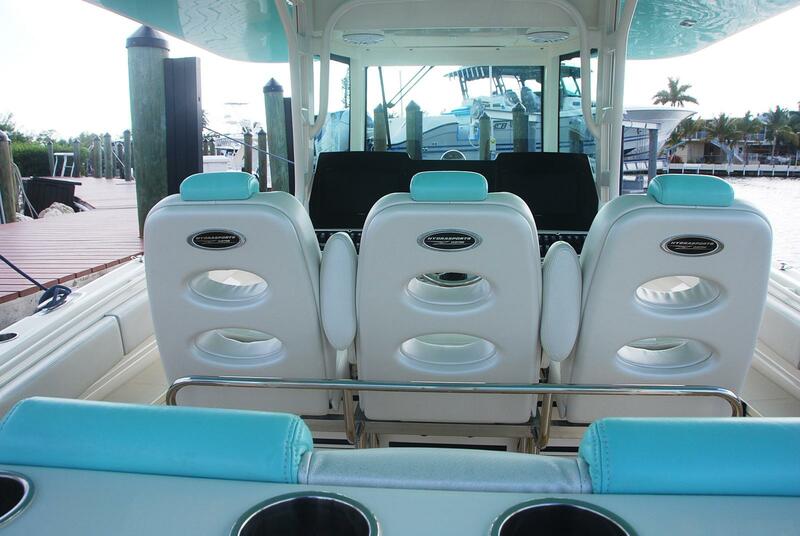 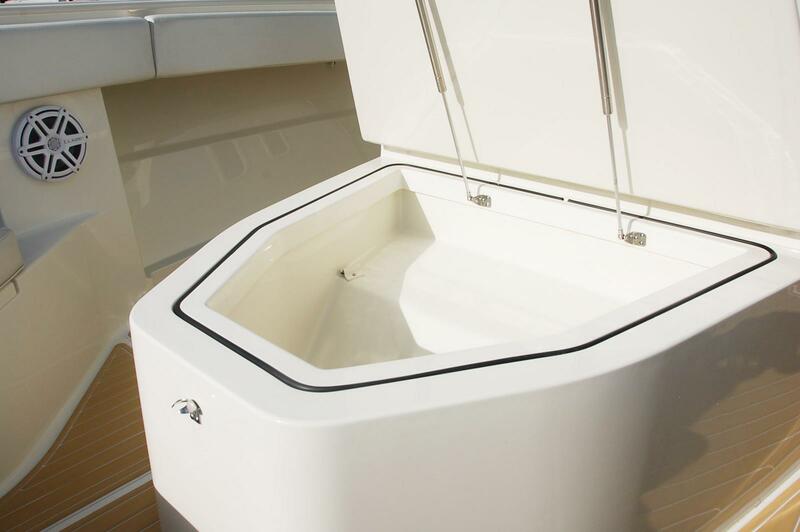 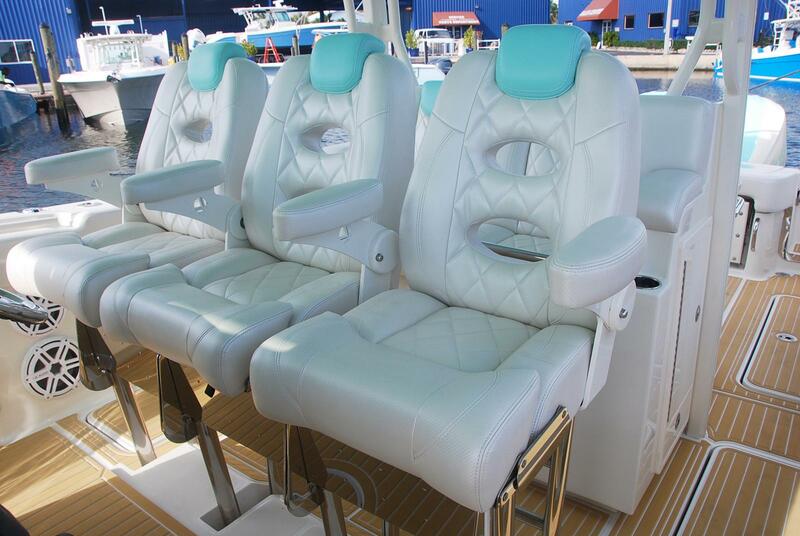 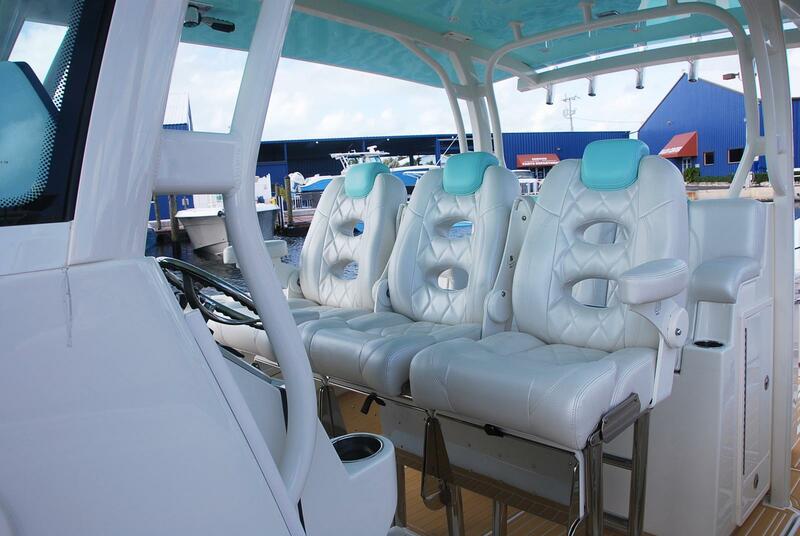 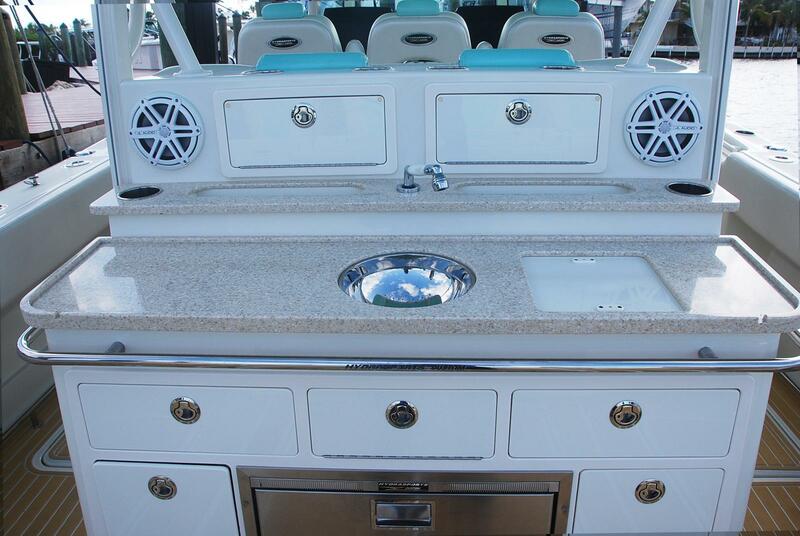 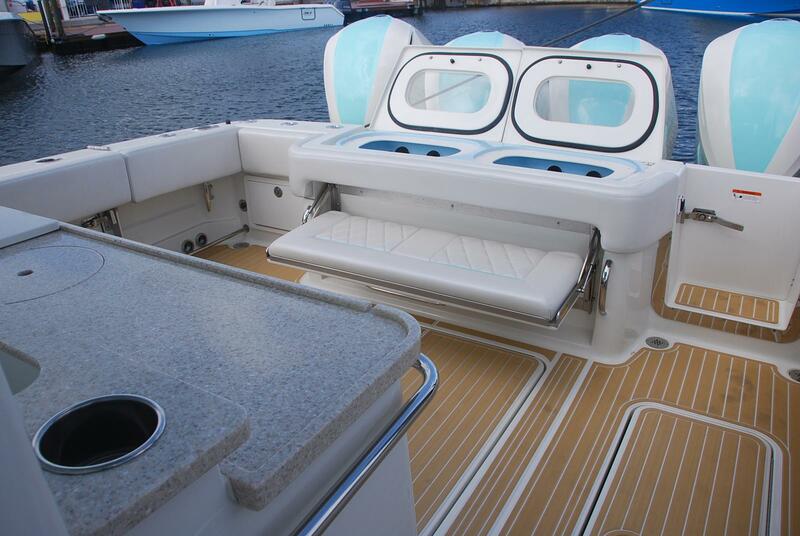 Luxurious appointments await in the easily accessible cabin and sun lovers can bask on the forward-facing console seat or convertible bow sun pad. 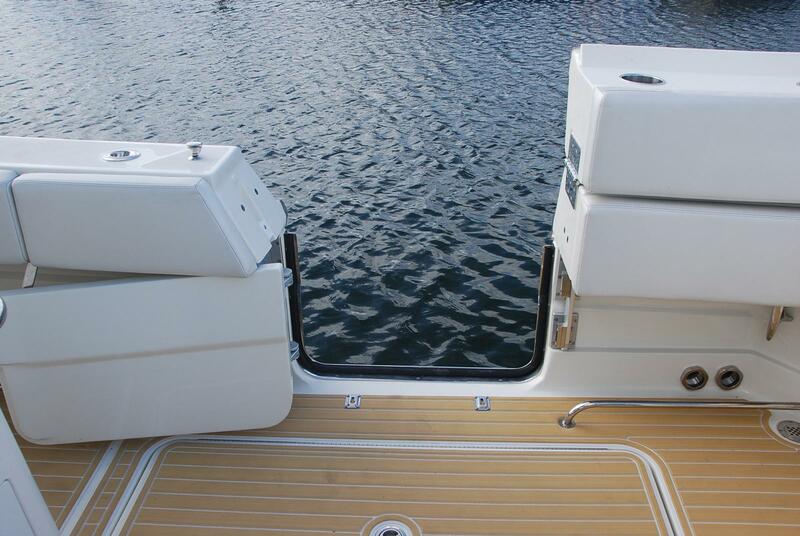 Beam: 12 ft. 2 in. 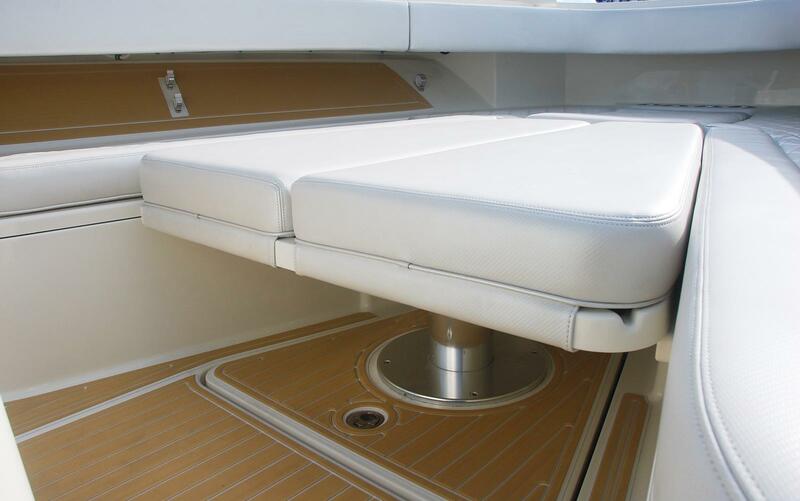 Bridge clearance with the top: 10 ft. 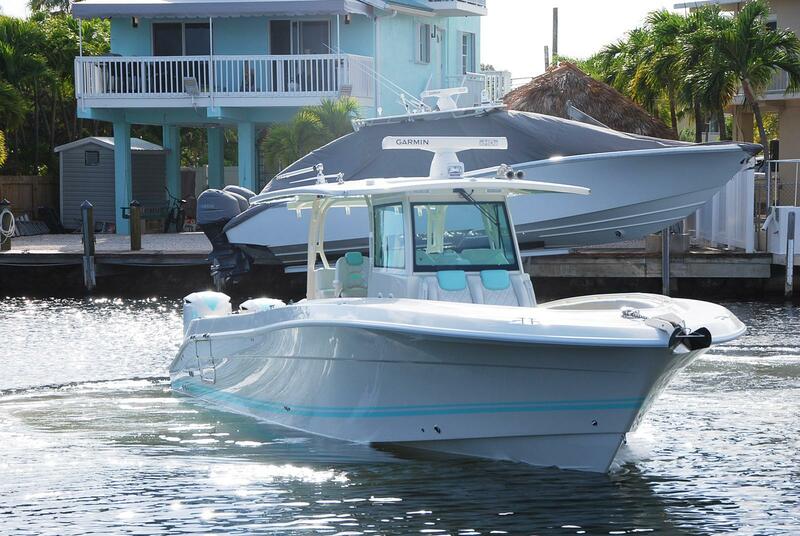 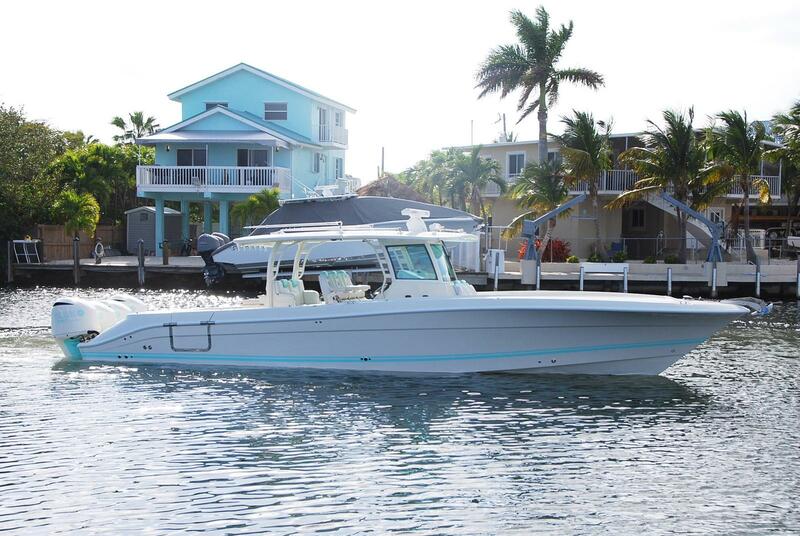 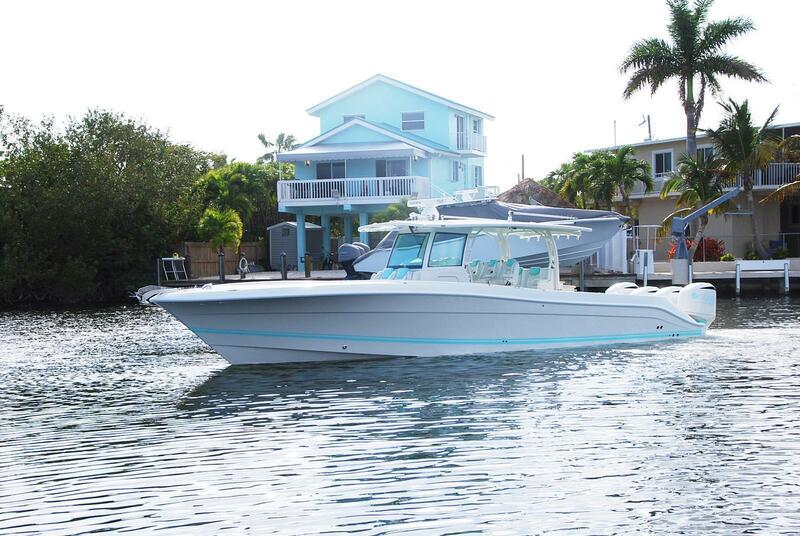 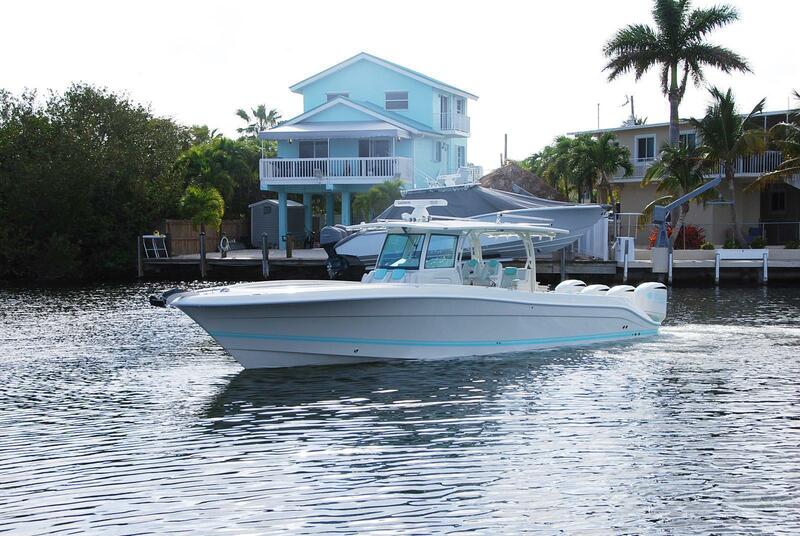 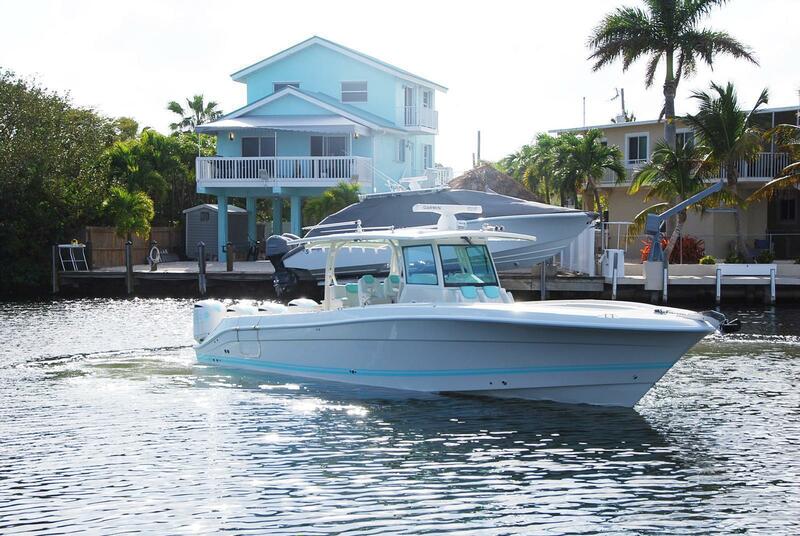 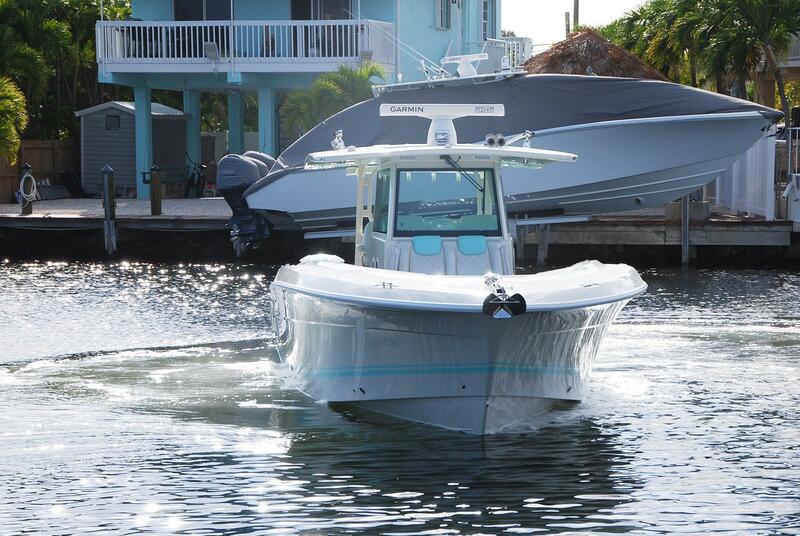 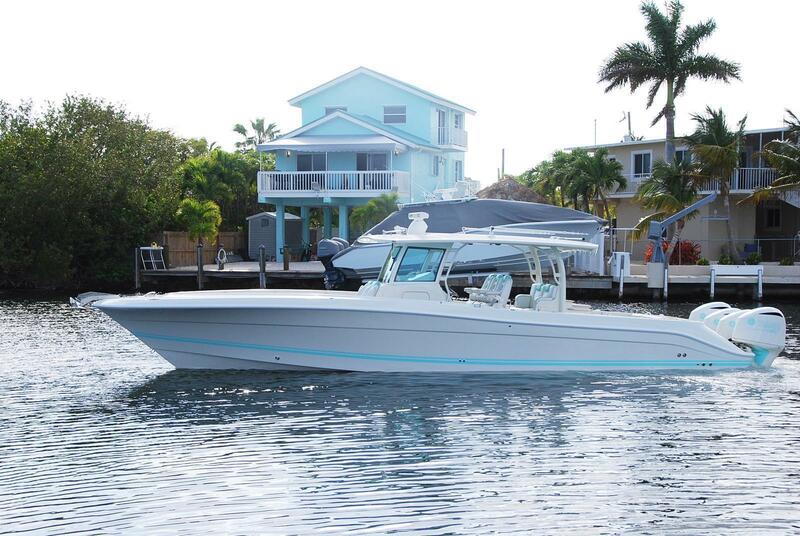 Performance, Ride, & Comfort: Rated for quad outboards up to 1700 horsepower, this center console yacht has been regarded as the most agile and comfortable in its segment. 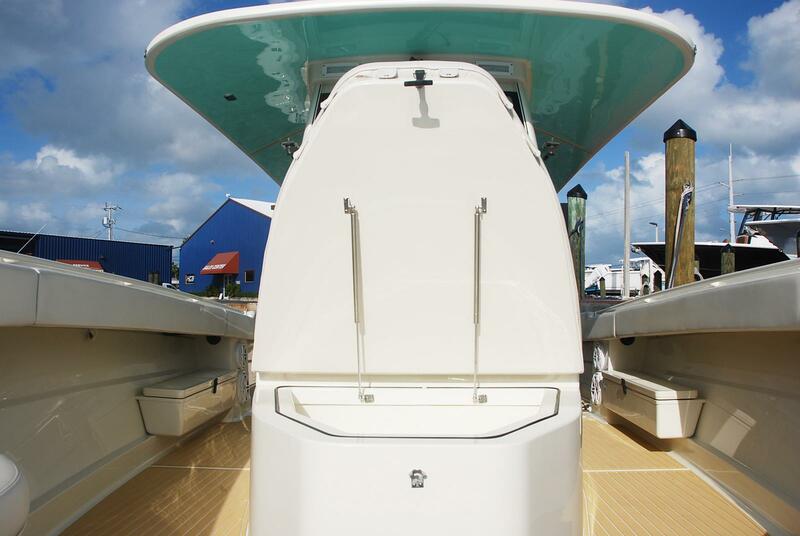 And has been the benchmark in its class for close to a decade. 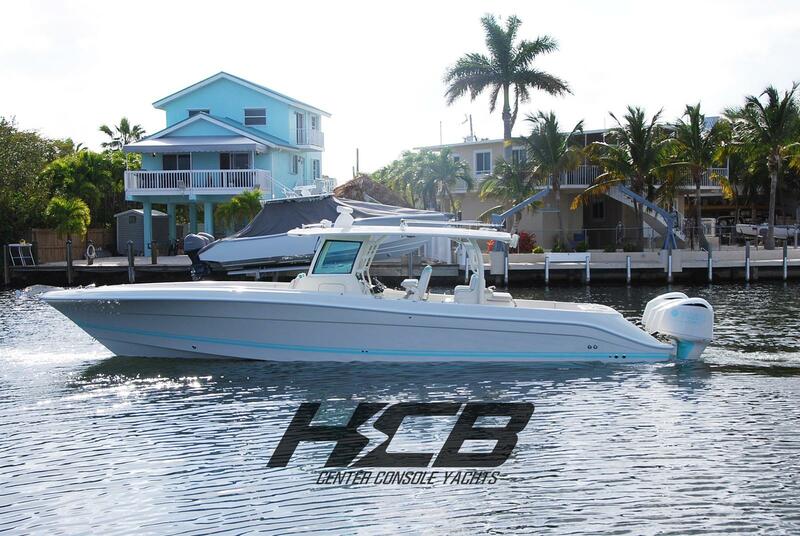 Cutting Edge: Front to back, this legacy yacht was developed for short runs or long adventures on the water. 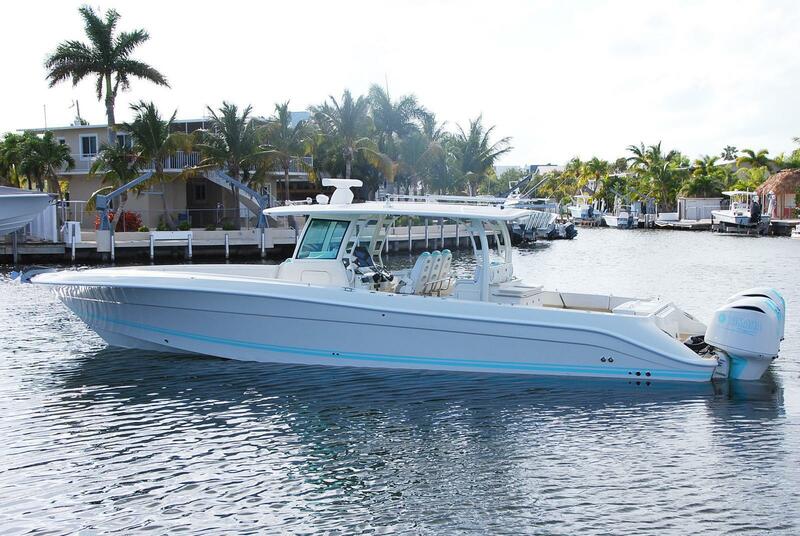 The forward insulated freezer, second row sleigh seat, and summer kitchen are just a few of the industry leading examples that compliment this award-winning yacht. 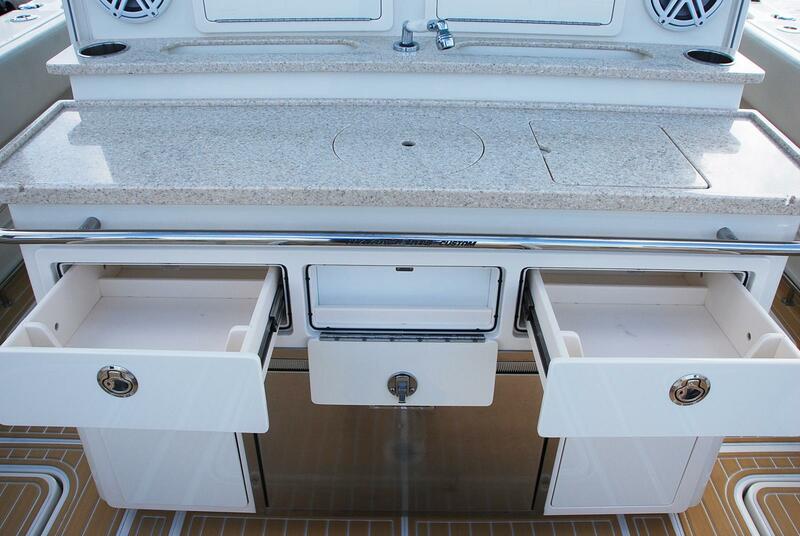 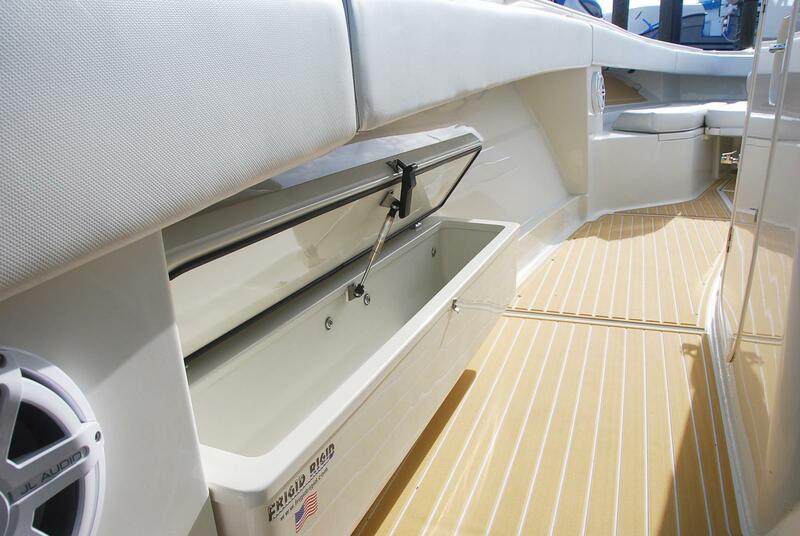 Luxurious Comfort: The Siesta features all of the plush comfort you expect in a center console yacht. 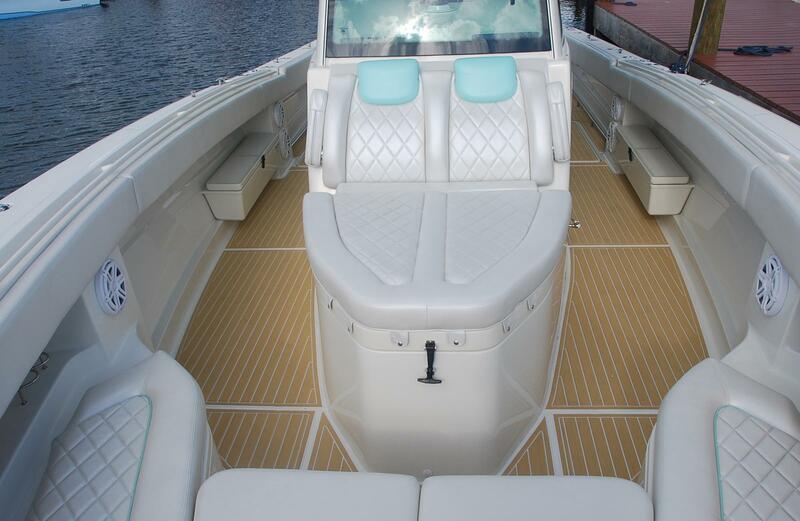 The interior and helm embody the purest excellence of HCB.